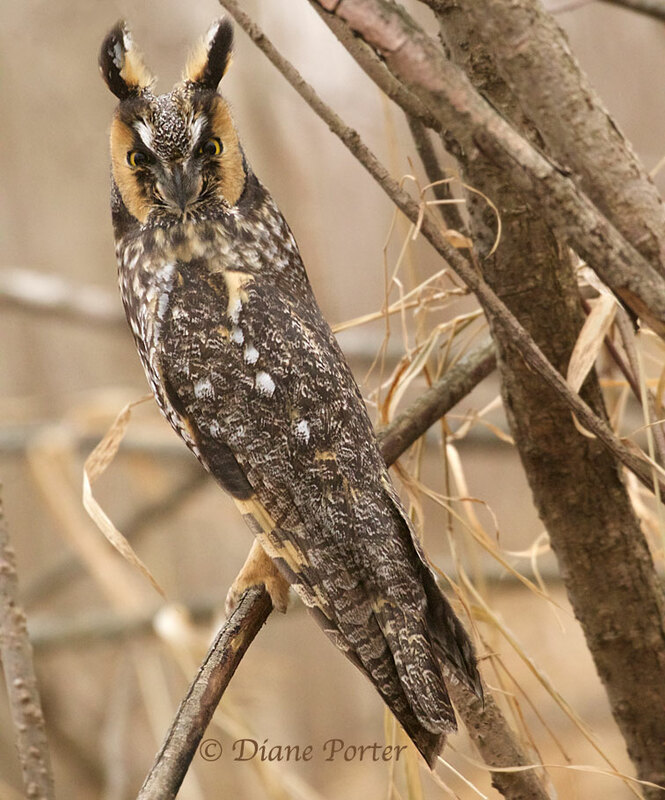 Long-eared Owls — are they of this world? They can squeeze themselves so thin you could mistake one for a slender branch and not notice it at all. That, I guess, is the point. Nine Long-eared Owls spent the icy, windy day roosting together in an Iowa willow thicket. Down low, where the tops of the grass tangled with the trees. Waiting for dusk, when the mice will come out. 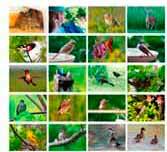 Have you ever been out birding and wished you brought your scope? 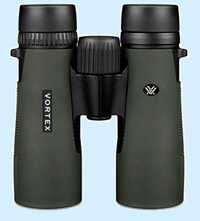 Because sometimes your 8x or 10x binoculars can't quite make out a bird's idendification. Meet the new Celestron Hummingbird ED Micro Spotting Scope. I'll fit in a loose pocket. The 7-power version is easy to hand hold. And we throw in a tabletop tripod for free. When Michael and Diane Porter reviewed affordable binoculars ($200 to $300) for Bird Watcher's Digest (July, 2016), the new Diamondback won the highest rating of all the binoculars in the survey.